Think retro men's wear that the starlet's use to wear then, and the new starlets wear now. We are in love! People Tree takes their woven 100% organic cotton, and pairs it with this awesome high waisted trouser for the ultimate in cool. 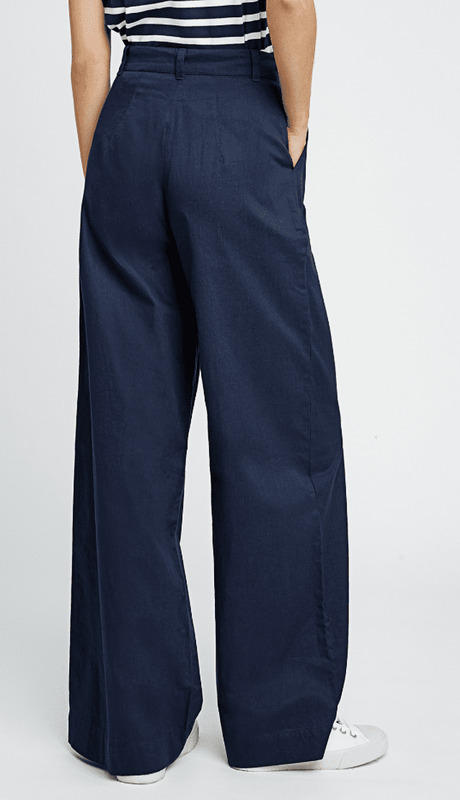 You ready to bust out of the same old same old denim uniform, then these are the perfect thing! Try it with a tucked in button down white shirt and alligator belt...throw. on power heels and you've got a great office outfit. Cuff the pants, throw on your favorite sneakers and a shrunken tee and you've got a cool day of errands.